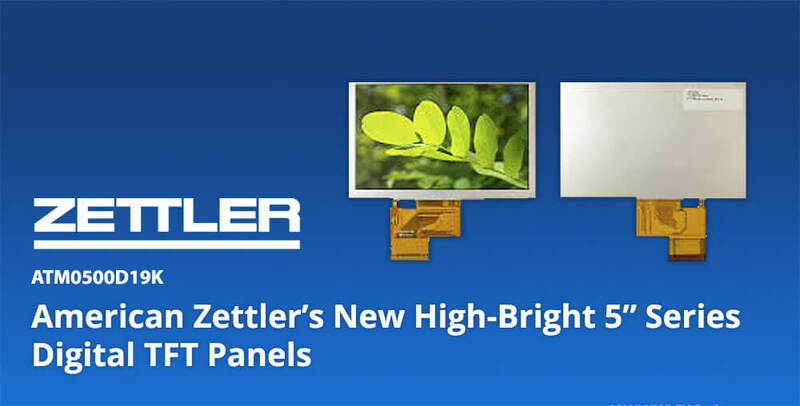 AZ Display's New High-Bright 5" Digital TFT Panel Series » HHP Associates, Inc.
AZ Displays introduces their high-bright 5.0″ series, ATM0500D19K. AZ Displays manufactures and markets a broad line of TFT panels and LCD modules and has established an industry leading reputation as a provider of top quality display solutions in a wide range of industry applications. Digital TFT Panels span across a broad selection of diagonal sizes and resolutions. This wide spectrum of TFT Modules is made available for numerous applications such as Avionics, Medical, Navigation Systems, Industrial Controls, Irrigation Controls, Testing/Measurement devices, Smart Metering and many more.